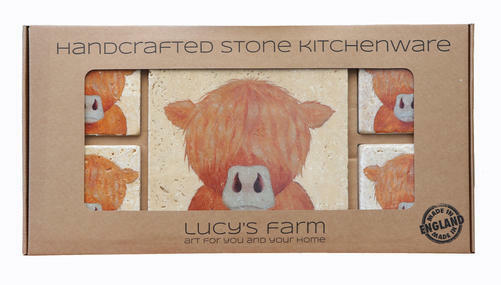 The Marble Stone Coasters are handcrafted featuring the baby highland moo, there are 2 coasters in the set. 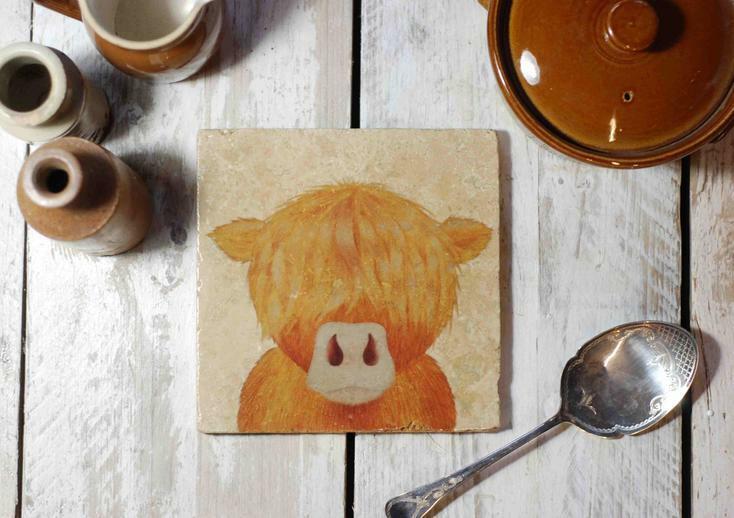 The Coasters are varnished so are heat proof and can be easily wiped clean, they also have plastic bumper feet on the base to protect your table/work top. 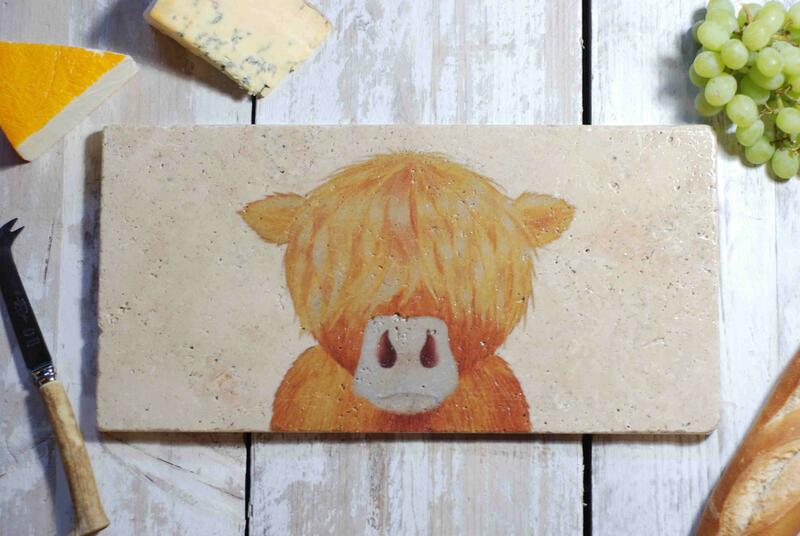 For those who love cows, farming or country living, this gift is perfect for all occasions including Birthdays, Mother's Day, Father's Day and Christmas. 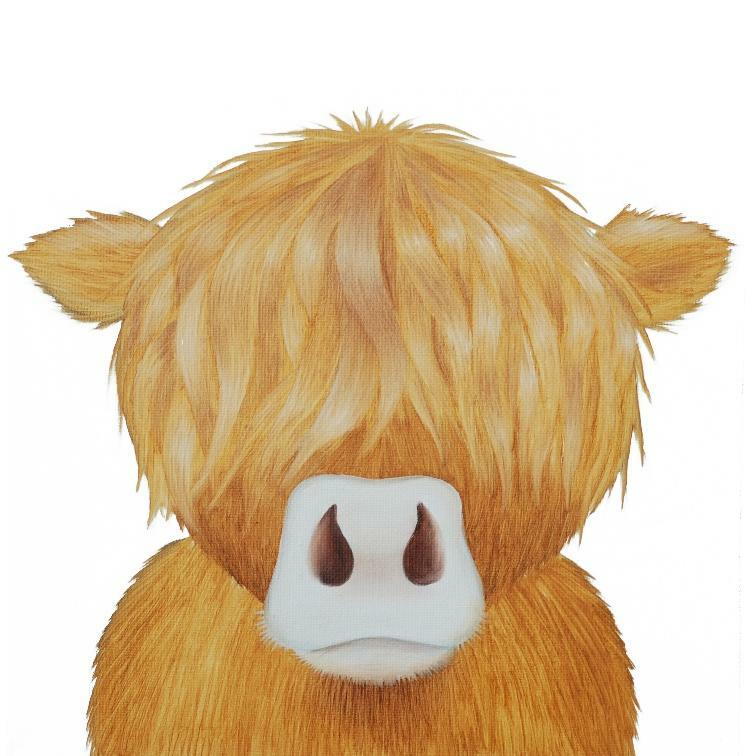 Baby Highland Moo is from an original painting by Lucy printed on marble stone which is prepared and varnished by hand in Dorset, England.